Everything you need to know about hiking in New Zealand. 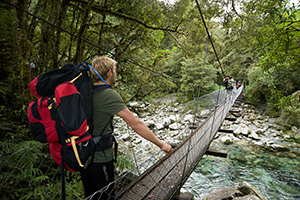 New Zealand has a network of over 500 incredible hiking trails which meander their way through the great kiwi countryside, connecting the most dramatic mountains, rain forests, river valleys and glacier fields. It has always been a long-time favourite destination for day walks, trekking and multi day guided hikes due to the country’s vast variety of terrain that offers many options for beginner as well as avid walkers alike. Whether you are a novice or an expert hiker, hiking in New Zealand is extremely different to many other countries, mainly due to the unpredictable “Four seasons in One day” weather. This makes it difficult to determine what to pack and what hike or track to choose. Here’s a few things you need to know, to ensure that you are comfortable and prepared for your walk, no matter your experience or the adventure you choose. 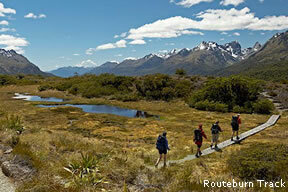 Day walks or short walks are one of the best ways to experience New Zealand’s natural wonders first-hand. 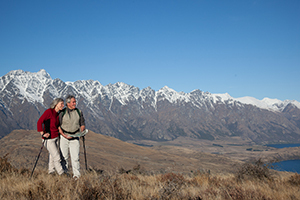 These walks are suitable for all levels of fitness, plentiful and easy to find as you tour New Zealand. Beautiful nature walks are right on the doorstep of our cities as well as towns and in just a few hours, you can experience some of the best of New Zealand’s scenery. Hiking boots or sneakers should be fine. But, please check ahead of time to ensure you are wearing the correct footwear for the terrain your walk will take place on. Backpack – fill this with water and snacks that will last the duration of your walk. Extra clothing – remember to be prepared for four seasons in one day and always take an all-weather jacket in case the weather changes plus spare socks. Charged Camera or Go-pro to capture the breathtaking scenery. Multi Day Guided Walks are for those who love adventure, but would like to end each day with a place to stay, a hot shower and a cooked meal. Guided walks also include a guide that will stay with you throughout the duration of your walk and who puts your welfare and safety as their first priority. Clothing to last the duration of the hike. Depending on the supplier you book your hike with, your belongings will be moved hut to hut by the supplier so that you do not have to carry anything other than a day pack on the walk. Day pack – to bring anything additional that you may need during the day. The water and snacks are usually provided by the supplier. Moderate level of fitness – If you want to make sure you are prepared for your hike, you can start training a minimum of 6-8 weeks prior to your trip, increasing the distance and adding incline to the walks before you get there. Charged Camera or Go-pro – don’t forget to charge it before you start your hike, there may not be power points on the walk. Great attitude and ready to mingle with like-minded hikers. 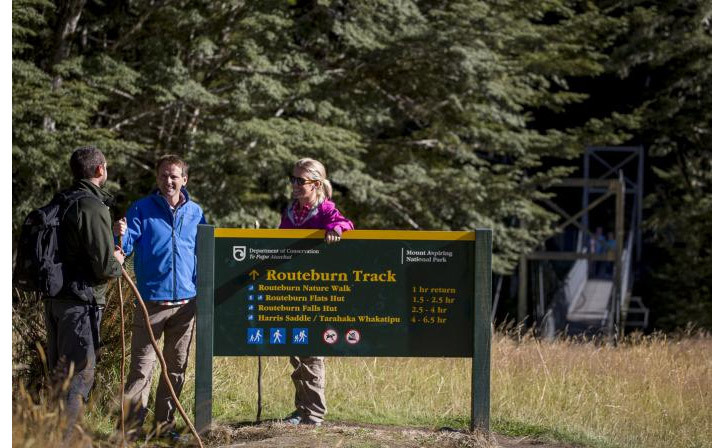 Independent hiking, tramping or walking is very popular in New Zealand, due to the high standard of track maintenance and generally mild climate. However it doesn’t come without risks and those thinking of doing it alone need to be mindful of the pitfalls especially if you are considering one of New Zealand’s remote multi-day hikes. Backpack big enough to carry your clothes, food, cooking gear and anything that you may need. Please also ensure that it fits properly and is comfortable as it will be on your back the whole way. Food for each day (please remember to take your rubbish with you). Soap and towels for showering (if there is running water, it’s probably cold). Clothing to last the duration of the hike as you will carry this daily. Moderate level of fitness – If you want to make sure you are prepared for your hike, you can start training a minimum of 6-8 weeks prior to your trip increasing the distance and adding incline. Charged Camera or Go-pro (don’t forget to charge it before, there may not be power points on the walk). Great attitude (may or may not bump into other hikers). Because every hike is different, we recommend that you ask your agent for advice or do your own research one where you would like to hike, as well as the type of hike you would like to go on. What are you waiting for? Come on over to New Zealand and take a walk around our backyard.